Sri Lanka’s President Maithripala Sirisena on Tuesday reinstated his justice minister, who was sacked nine months ago for publicly criticising a billion-dollar deal to lease a loss-making harbour to China. Sirisena’s office did not say why Rajapakshe was brought back into the fold despite his sacking last August. Sirisena won that election with the support of current prime minister Ranil Wickremesinghe but the relationship between the two men has since broken down, with Sirisena accusing Wickremesinghe’s United National Party (UNP) of corruption. 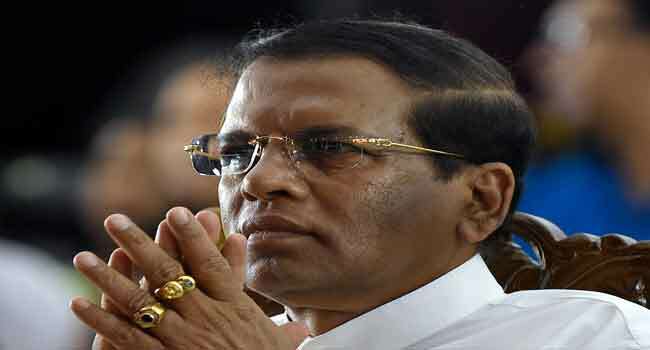 Despite tensions between the two men, both kept their respective portfolios in Tuesday’s reshuffle, with Sirisena helming the defence ministry and Wickremesinghe retaining his economic affairs responsibilities.